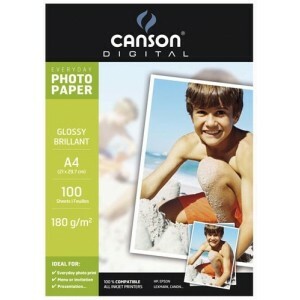 Papier Canson Digital, Everyday brillant, 180 g, format A4, 100 feuilles. Everyday Photo Mat Duo, double face, 170 g, format A4, 50 feuilles. Canson Digital, Performance satin, 210 g, format A4, 20 feuilles. 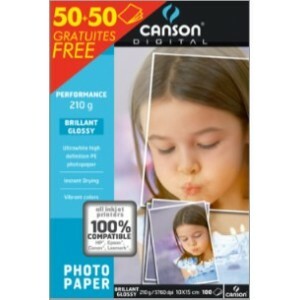 Canson Digital, Everyday, Performance brillant double face, 180 g, format A4, 20 feuilles. Canson Digital, Performance brillant / glossy, 210 g, format A4, 20 feuilles. Canson Digital, Ultimate glossy / brillant, 240 g, format A4, 20 feuilles. Canson Digital, Ultimate satin, 270 g, format A4, 20 feuilles.